IdentityMind, a risk management and RegTech compliance platform with Know Your Customer (KYC) and Anti-Money Laundering (AML) services (‘Digital Identities You Can Trust’), announced today its partnership with Binance, the world’s leading cryptocurrency exchange by trading volume and users. As part of a joint mission to help raise the industry’s standard, Binance and IdentityMind have begun undertaking steps to improve existing data protection and compliance measures for Binance’s global operations. IdentityMind’s platform enables digital currency exchanges to comply with KYC and AML regulations worldwide. IdentityMind’s risk and compliance platform is the only real-time onboarding, transaction monitoring, and case management solution built for digital currency exchanges. 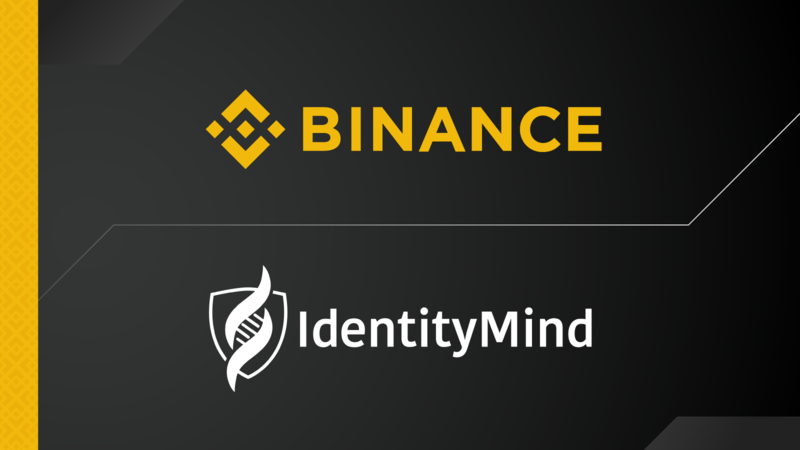 "With Binance’s tremendous trading volumes and its rapid expansion plans, compliance is naturally more challenging, especially in this fast-changing market,” said Garrett Gafke, President and CEO of IdentityMind. “Our risk and compliance platform powered by a patented digital identities engine meet the scale demands of Binance’s global operations while providing a highly accurate system for assessing any global risk factors from outside entities for transactions. We are excited to provide the necessary tools that will allow them to continue growing and serving more users around the world in a secure and compliant manner."